It is not exaggeration if I made a bold statement that Ethiopia is among those countries where the dignity of a human being is absolutely disregarded. This goes from the fact that human rights violations and naked tyranny are commonplace experiences under the regime of Meles Zenawi. There is no trend of improvement in human rights protection in the country and a general culture of impunity for violating human rights is rampant. Lack of respect for the fundamental human rights, arbitrary and illegal detentions, tortures, killings of members of the political opposition and demonstrators, summary executions of suspected insurgents, lengthy pretrial detentions, poor prison conditions, violations of individual privacy rights and laws regarding search warrants, and lack of freedom of press are among a few characterizing features of the police state of Ethiopia. In Ethiopia, all types of human rights are virtually violated and basic freedoms are infringed now and then. The routines of human rights violation, the lack of trend of improvement in human rights protection, and the culture of impunity for violating human rights by the oppressive regime loom largely over the Oromo nation, a numerical majority, but a political minority in Ethiopia. In order to escape persecution and harassment by the repressive regime, an exodus of Oromo refugees cross from Ethiopia into neighboring countries every day and every month. However, to the consternation of Oromo refugees, the other Horn countries are putting salt on the injuries of Oromo refugees. In other words, the reality for Oromo refugees in the other Horn countries squarely fits with the reality in Oromia, a TPLF open-field prison-house. Handing over Oromo refugees to the oppressive regime of TPLF, forcibly sending them back or detaining them with total disregard to international norms are part of common phenomena in the region. This aberration in international law happens repetitively in Kenya, Sudan, Djibouti and Somaliland. 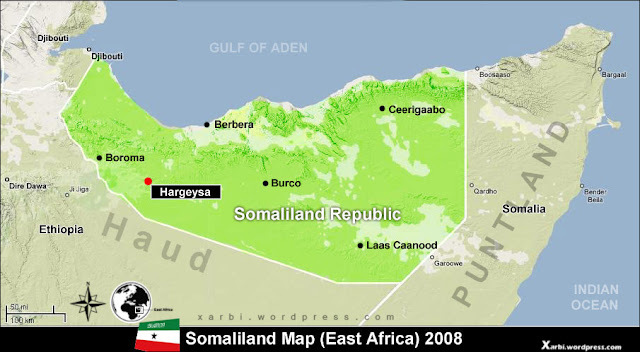 The case of Somalia is even worse to mention: the TPLF regime, exploiting the political anarchy and statelessness in Somalia, can jump to there anytime to massacre and torture Oromo refugees living there. In the worst scenario, the TPLF regime uses its warlord vassals in Somalia to wipe out Oromo political dissidents, who are lucky enough to escape from TPLF’s torture machinery at home. Oromo refugees are becoming more and more vulnerable to abuses of the state actors and non-state actors in the Horn. 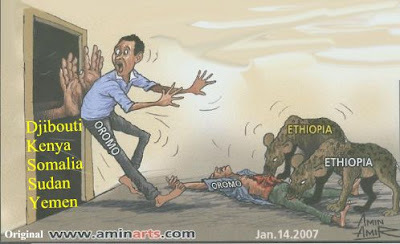 These days, being raped, being robbed, being attacked and being abused have become part of Oromo refugees’ daily lives. Moreover, becoming targets of terror attacks is a new emerging trend. The case in point is the heinous murders of innocent Oromo refugees by two simultaneous hand-grenade attacks in Bosaso restaurants. Every single day, the agonies and plights of Oromo refugees are smoldering and touching. This is the ongoing problem and needs the attention of every person who feels the sufferings of human beings. Are the Behaviors of the Horn Countries Acceptable under International Laws? To understand the protection of the refugee law under international laws, it is necessary to understand the complementarity among the refugee protection law, international human rights law and humanitarian law. International refugee rights are integral parts of the broader international human rights that an individual enjoys by virtue of humanity. Refugee rights have been anchored in several international human rights instruments. For instance, the Universal Declaration of Human Rights (UDHR), the bedrock of international human rights regime that has attained the status of customary international law and jus cogens, has clear provisions about the rights of refugees (asylum seekers). Article 14 of UDHR, the right to seek and enjoy asylum in other countries, is one of those principles, which reached the status of the peremptory norm binding on non-signatory states erga omnez. Right to life, absolute prohibition of tortures, or cruel, inhumane and degrading treatments/punishments, and protection against genocides and crimes against humanity are also considered as some of the fundamental state obligations on the international plane. More importantly, these state obligations and international human rights instruments prohibit refoulement, sending back the refugee to the country where he/she fears persecution. Every country in the world, whether de facto or de jure state, (including Kenya, Somaliland, Puntland, Djibouti, Sudan…), has the duty to honor their international obligations by protecting individuals (Oromo refugees) from persecution. Hence, these countries cannot refouler Oromo refugees to Ethiopia since their lives and freedom can be threatened because of their race, religion, political opinions, and membership to particular social group. In case of temporary protection, too, these countries are duty-bound to grant temporary protection status for the mass influx of the people falling outside the competence of 1951 Convention since forcible return can pose substantial threat to the lives, liberty, and security of these persons. Refoulement is tantamount with violation of the international law, and non-compliance with international obligations has consequences (at least in theory) on them. Hence, in this scenario, too, these countries have the incumbent duty to protect the right of refugee until the situation in the refugee’s country improves or the refugee is resettled in a third country. And also, in case of Protection Elsewhere (Third Host Countries), these countries have to observe their obligation to non-refoulement. The fact that refugee has got or might get protection in third country cannot discharge these countries from international obligation. In a nut shell, these are among a few legal bases for the Horn nations not to hand over (refouler) Oromo refugees to Ethiopian authorities. The Universal Declaration of Human Rights (UDHR)The right to seek and enjoy asylum is a peremptory norm of international law binding an all states of the world. Logically, refoulement is forbidden to the state where life and freedom of the individual might be periled. The Convention against Torture (CAT)The Convention against Torture and Other Cruel, Inhumane and Degrading Treatment or Punishment provides protection from refoulement. This cardinal principle binds even those countries, which are not party to the Convention, on the ground that it has attained the status of customary international law. The International Convention on Civil and Political Rights (ICCPR)The International Convention on Civil and Political Rights (ICCPR) prohibits refoulement to torture. The Convention secures right to life (Article 6), protection from torture (Article 7), and more importantly, it says that these rights are applicable to all persons within territory or jurisdiction of state [Article 2(1)]. Optional Protocol 1 to this Convention gives individuals including refugees the right to bring complaint to Human Rights Committee if their rights are violated. The Convention on the Right of the Child (CRC) The Convention on the Right of the Child (CRC), which applies to all children without discrimination, whether they are national or refugees or asylum seekers, prohibits refoulement. Countries should honor their Constitutional and Municipal LawsHuman rights are inalienable, universal, indivisible, interdependent, and interrelated. No one can neither give nor alienate these especial entitlements of human dignity. As the result of their natures, human rights provisions are applicable to all human beings regardless of their nationality: the principle of non-discrimination. Therefore, it is plausible to argue that a refugee can benefit from the rights guaranteed by the Constitutions and municipal laws of the Horn countries. Forcibly returning refugees to the country, where they might be persecuted, is the violation of the laws of these countries. These also reinforce and supplement these countries’ duties to safeguard the right of refugees. The examples given above are simply a tip of an iceberg. There are numerous international conventions and instruments that prohibit refoulement, such as International Convention on Economic Social and Cultural Rights, International Convention to Eliminate All Forms of Discrimination against Women, International Convention to Eliminate All Forms of Racial Discrimination and so on. What should the Oromo Diaspora do to ensure the maximum possible protection for the rights of Oromo refugees in the Greater and Unstable Horn of Africa? * Kadiro Elemo is a host and a producer of Voice of Oromia (http://www.voiceoforomia.com/).